Los Angeles, CA, October 28, 2015 – Focusrite announces the launch of a new product in its popular RedNet range of Dante™ audio-over-IP products: the RedNet AM2 stereo audio monitoring unit. This product is being shown at the 139th International AES Convention in New York, October 30–November 1, 2015. RedNet AM2 is a Dante-compatible stereo monitoring unit combining headphone and line outputs for flexible monitoring of signals sourced from the Dante network. 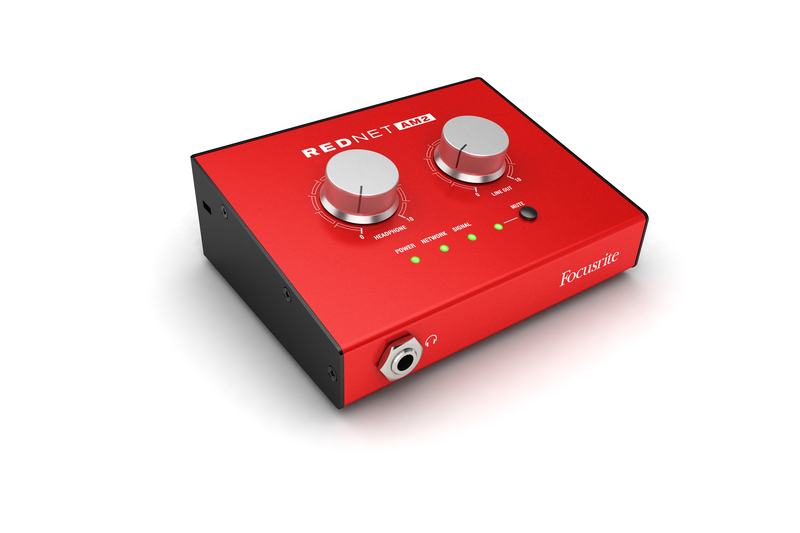 RedNet AM2 features a quarter-inch front-panel headphone socket plus a pair of balanced line outputs with male XLR connectors mounted on the rear panel, which may be used for loudspeaker monitoring and other applications. RedNet AM2 is planned to ship spring 2016. Photo caption: Focusrite RedNet AM2 stereo audio monitoring unit.